Russia has seen a wave of anti-corruption measures in recent weeks. Last week Russia signed up to the OECD anti-bribery convention and President Dmitry Medvedev ordered the Russian Ministry of Justice to monitor enforcement of the laws and prepare an annual report. A few weeks earlier, President Medvedev signed into law Russian anti-bribery legislation which imposes steep fines (based on a multiplier principle) on those paying and receiving bribes. In London, the Russian Ambassador to the UK met with the Director of the Serious Fraud Office, Richard Alderman, to discuss the new Bribery Act. Mr. Alderman visited Russia earlier this year and in thinly veiled warnings to Russian business told audiences that he intended to prosecute foreign companies who use bribery to undercut UK businesses. The Director of the SFO recently met with us to talk about the risks of doing business in, and his enforcement approach to, Russia. At the same time the SFO is encouraging UK businesses who suffer at the hands of unethical foreign companies through bribery to report to the SFO – so that it can pursue unethical overseas foreign companies. Russia has a mountain to climb and organisations wanting to do business there face a daunting set of statistics. Ranked no. 154 on the Transparency International Corruption Perception Index, The Moscow Times reports that in the Russian language, government published Rossiiskaya Gazeta last week chief military prosecutor Sergei Fridinsky reportedly said that corrupt officials steal nearly 20% of the country’s defense budget through kickbacks and fraud. Is it possible to do business in Russia without paying bribes? In an informal survey of its global chapters Transparency International says that its Russian chapter is the only one to report that it is impossible to conduct business in Russia without paying bribes. But, and there is a but, there is a sense of a growing shift and that Russian businesses are increasingly aiming to behave ethically. The BBC reports here on Knauf a German company and one of Russia’s largest and most successful foreign investors does not pay bribes. At the same time large Russian corporates are giving their employees anti-corruption training inspired by the obligations imposed today by the US Foreign Corrupt Practices Act through their publicly listed securities in New York. From July the Bribery Act, with its long arm jurisdiction, will be another driver for anti-corruption compliance. While the UK government has signalled that unlike the US the listing of a Russian or other overseas company on the London Stock Exchange should not, in itself, mean the Bribery Act applies to it – there may be numerous other connections which will mean that Russian businesses are subject to the Bribery Act. 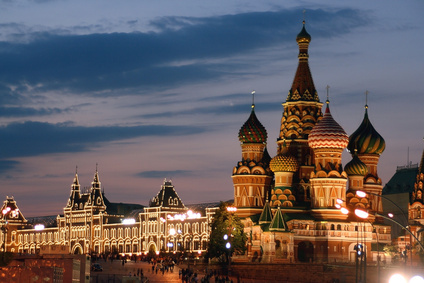 We can report many Russian companies are taking a keen interest in the new law and its likely impact on their business. Contrary to the informal Transparency International report numerous businesses do do business in Russia and take a tough anti-corruption stance. The keys are the implementation of strong checks and controls, a zero tolerance approach and some important practical steps to ensure compliance. If businesses do find that they are placed in an impossible position then the SFO can offer way through. We know of examples where the SFO has assisted ethical corporates who hit a brick wall when attempting to adopt a zero tolerance approach to corruption in challenging overseas jurisdictions. Special care will be required, but, contrary to conventional wisdom the Bribery Act does not lock out ethical companies from doing business in Russia.